National Public Radio (NPR) has for years been known for its radical leftwing bias, and uninformed commentaries on foreign and defense policy by kooks from academia. But the NPR propaganda mill recently reached a potentially dangerous new low, misinforming Americans on the threat from North Korea amidst the worsening crisis with that nuclear-armed dictatorship. On April 26, NPR interviewed Ambassador R. James Woolsey, former Director of Central Intelligence, who correctly warned listeners that the biggest and most immediate threat from North Korea is its capability to perform an electromagnetic pulse (EMP) attack by satellite, which could plunge the entire U.S. into a protracted blackout. 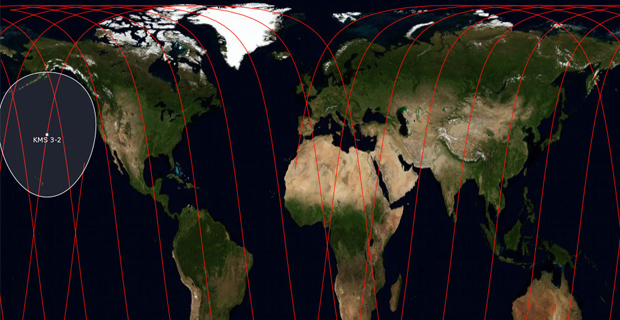 North Korea currently has two satellites orbiting over the U.S. on trajectories consistent with making a surprise EMP attack. 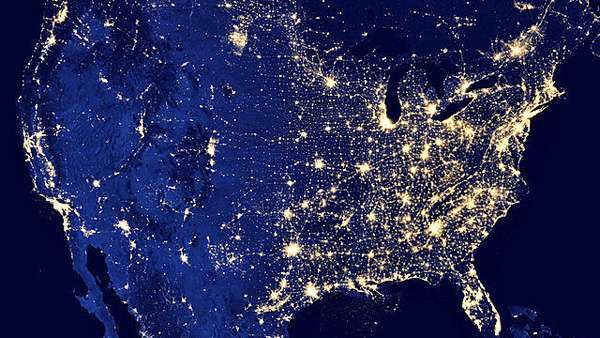 The Congressional EMP Commission, on which Ambassador Woolsey serves as senior adviser, estimates that a nationwide blackout lasting one year could kill up to 90 percent of the American people from starvation and societal collapse. NPR was not really interested in Woolsey’s warning about the North Korean EMP threat, the interviewer only commenting, “I never heard of that.” Instead, NPR was interviewing Woolsey about President Trump’s first 100 days, fishing for some negative comment from the former Trump adviser, which they did not get. Why Brunfield would interview Jeffrey Lewis about EMP, and not the vastly more knowledgeable former Director of Central Intelligence Jim Woolsey, is explicable only as a combination of incompetence and possible NPR bias against the “politically incorrect” EMP threat. Lewis opened the interview by laughing hysterically for nearly a minute at the warning by former CIA Director Woolsey and the Congressional EMP Commission that a North Korean EMP attack would have catastrophic consequences. According to Lewis, the 1962 Starfish Prime high-altitude nuclear test proves that EMP is relatively harmless because the Hawaiian Islands were not destroyed, merely damaged a little. And Lewis reassured listeners that, contrary to popular belief, cars would be little effected by EMP. Starfish Prime was not an EMP test, but the U.S. accidentally discovered the EMP phenomenon during the test. The Hawaiian Islands were not destroyed because they were at the outside edge of the EMP field, where effects are weakest, and because they are islands in an ocean, which mitigates EMP effects. Russian EMP tests conducted in 1961-62 over land in Kazakhstan destroyed electric grids and other critical infrastructure over an area larger than Western Europe. Modern electronics are over one million times more vulnerable to EMP than the electronics of 1962. Over 50 years of EMP tests by the Department of Defense, most recently by the EMP Commission, prove that an EMP attack would collapse all life-sustaining critical infrastructures, including automobile transportation. In 2010, 2011, and 2012, North Korea made a non-nuclear EMP attack on South Korea, using a radiofrequency “cannon” to impose an “electromagnetic blockade” on Seoul by threatening airline traffic, that also caused widespread blackout of radio communications and disruption of automobiles. A nuclear EMP attack would have much higher field strengths causing much greater damage over potentially an entire continent. Why does Jeffrey Lewis not know these things? Because he is a teacher at the Middlebury Institute of International Relations at Monterey, not a former Director of Central Intelligence and senior advisor to the EMP Commission. Because, aside from a brief stint at the Pentagon as an intern, he has never served in the Defense Department or worked professionally as a military analyst for the U.S. defense or intelligence communities. Because his degrees are in policy studies and philosophy, not in missile engineering or nuclear weapons design, even though he pontificates in his blog 38 North on these subjects, and now on EMP, as if he is a real expert. National Public Radio’s reliance on ignorant academic national security non-experts, like Jeffrey Lewis, is symptomatic of a wider problem in the liberal mainstream media. The net effect of media reliance on left-wing academics for national security expertise is to seriously underestimate threats from Russia, China, Iran, and North Korea. The agenda of the liberal media and left-wing academics appears to be to convince the American people that it is not too late to solve threats from North Korea and others through negotiation and arms control, instead of rebuilding U.S. military and nuclear strength. They want to continue the failed foreign and defense policies of President Obama. Appeasement is a stupid, self-defeating policy usually ending in war. National Public Radio, for its latest misleading of the American people toward an EMP holocaust, deserves defunding by Congress. Peter Vincent Pry is executive director of the Task Force on National and Homeland Security. He served in the Congressional EMP Commission, the Congressional Strategic Posture Commission, the House Armed Services Committee, and the CIA. He is author of “Blackout Wars.” This story originally published here. For more of his reports, Go Here Now.